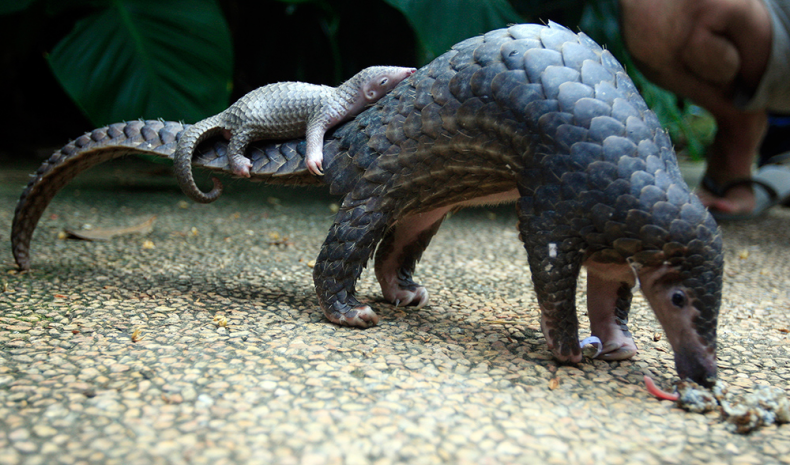 Pangolins, those endearing scaly anteaters, are the world’s most trafficked animals. They are widely sought in China and Vietnam for their meat as an ingredient in exotic dishes and for their scales in traditional medicine. If the illegal trafficking is allowed to continue in them, these harmless creatures are bound to go extinct in a matter of time. That applies to Malaysia, where the animals are routinely poached from their forest homes. Finally, though, here comes a bit of good news. A grouping of 182 nations at a CITES conference in Johannesburg, South Africa, has voted to protect pangolins with a total ban on the sale of all eight pangolin subspecies from Asia to Africa. The trade ban is of the most comprehensive type that is enforced by CITES. It covers all eight subspecies of pangolin: four Asian pangolins (the Indian, Philippine, Sunda, and Chinese) and four African ones (giant, tree, ground, long-tailed). The numbers of pangolins have been decimated by poachers in recent years. The animals are relatively easy to capture because at the sight of danger they tend to curl up into a ball, rather than try to flee. Because of their slow reproductive rate, the animals are especially vulnerable to poaching. Based on anecdotal evidence, obtained from hunters and wildlife officials, conservationists estimate that populations of the Sunda pangolin in Peninsular Malaysia have fallen drastically over the past two decades. The animal is now listed as critically endangered in the wild. Authorities in Sabah recently suggested a complete ban on the sale of pangolins in order to protect remaining populations of the elusive animals. Conservationists remain uncertain how many pangolins are left in the wild, but alarmingly an estimated 100,000 animals are captured from across Asia and Africa and smuggled, dead or alive, to China and Vietnam each year. 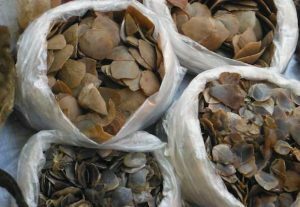 In Vietnam alone some 2,600 pangolins have been seized over the last three years, along with more than 30 tons of frozen meat and scales. And demand for the animals there and in China remains unrelenting. Time is running out for the anteaters. As recently as in 2008, only two of the eight pangolin subspecies were classified as endangered by the IUCN: the Sunda pangolin and the Chinese pangolin. Today, all eight are threatened with extinction.